Top executives at HSBC admitted the company has damaged its reputation after it was revealed the company helped clients hide their wealth using its own private Swiss bank. "We are suffering from horrible reputational damage," HSBC Chairman Douglas Flint said during an appearance Wednesday before the British Parliament’s Treasury Committee. "A bank lives on its reputation. No bank wants to associate itself with activities behaviours or clients that would do it damage," Flint added. Earlier in February, a cache of client information was made public via the media, describing ways HSBC’s Swiss bank allegedly advised clients on avoiding paying taxes and also listed clients who are on U.S. sanctions lists. The leaked documents dated from 2005-07 and the information was turned over to French authorities by a former bank employee. Flint and CEO Stuart Gulliver, who was found to personally have a private Swiss bank account, both apologized for the bank’s conduct. Flint said he felt shame and would "take his share of responsibility" for hiding clients’ wealth at HSBC’s Swiss private bank. Gulliver said he personally apologizes for “the unacceptable events” at the private bank and again asserted that he had paid all his own U.K. taxes, despite hiding his bonus money inside a private Swiss account. Both Flint and Gulliver were repeatedly questioned by MPs over who had responsibility for ensuring that bank clients complied with tax law and what discipline HSBC had imposed on employees of its Swiss bank. 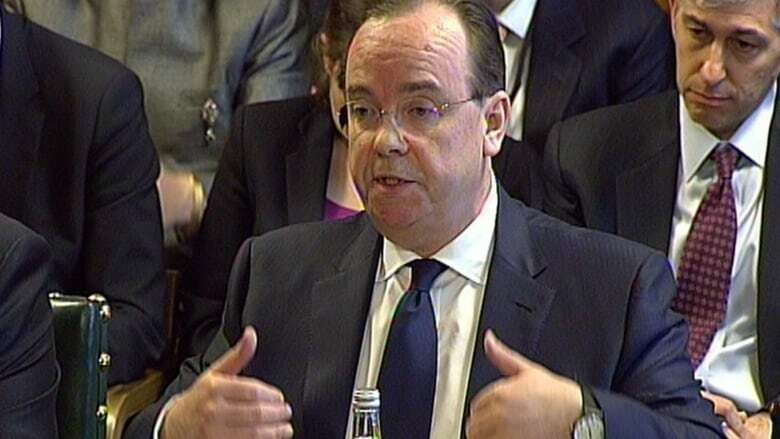 Gulliver told MPs the improper conduct at the bank was all in the past and HSBC had imposed more controls on the Swiss unit since the scandal. Both executives said the bank’s rapid growth and failure to integrate the Swiss private bank, which it bought in 2009, made it difficult to set a standard for conduct in all HSBC holdings. On a conference call with reporters this week, Gulliver argued that top executives shouldn't be held responsible for the actions of individual employees. He’d changed the thrust of his comments for Wednesday's testimony, saying it was up to him as CEO to fix the bank’s reputation. "I'm responsible for cleaning it up," he said. Gulliver told the committee his use of a private bank account in Panama to hold his earnings was a means of protecting his privacy from others within HSBC, who might want to know what he was paid. The account had “no tax purpose,” he said, adding that he’d paid U.K. taxes in full since being based in Britain. Tax evasion is only the most recent scandal to hit HSBC. In 2013, the bank agreed to pay U.S. authorities $1.9 billion US to settle charges that its practices enabled Latin American drug cartels to launder billions of dollars. U.S. and U.K. regulators in December fined it another $618 million for failing to prevent manipulation of foreign-exchange markets. HSBC executives acknowledge that the bank's sheer size and rapid growth before the financial crisis led to control issues. The case raises questions about banks worldwide and how much they are willing to bend the rules to win the business of wealthy clients, considered one of the more lucrative parts of the business. "If you think this is just HSBC, then you are mistaken," said Louise Cooper, a former Goldman Sachs stockbroker who writes the financial blog CooperCity. "HSBC is just the bank to get caught as the French whistleblower happened to work there."